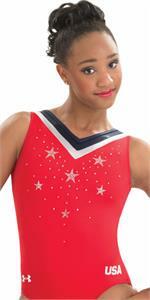 Show your love by wearing a US women's gymnastics national team inspired leotard! 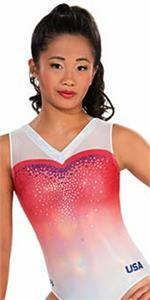 2018 in Qatar E4052 Team USA World Championships training rainbow Radio Waves White sublimated subfuse racer back gym leotard. Free scrunchie. 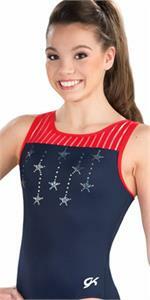 E4004 World Championships 2018 Black and Gold Simone Biles Replica tank gymnastics leotard by GK. 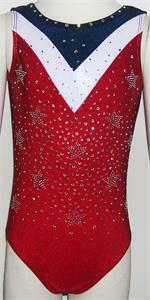 2018 in Qatar E4007 Pride Team USA World Championships replica tank gymnastics leotard by GK with free scrunchie. 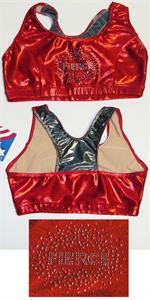 2018 in Qatar E4005 Miss Independence Team USA World Championships replica tank gymnastics leotard by GK with free scrunchie. 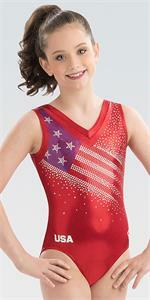 2018 in Qatar E4008 USA Allegiance Team USA World Championships replica tank gymnastics leotard by GK with free scrunchie. 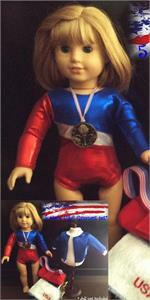 5 piece USA team leotard set for your American Girl or other doll.